Here is a restaurant copycat recipe for California Pizza Kitchen white pizza. 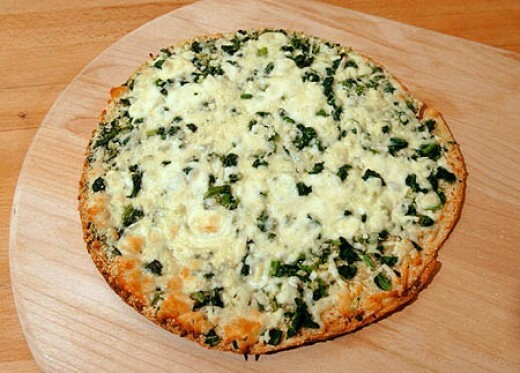 This pizza has garlic and spinach and is topped with Italian cheese like Mozzarella, Fontina, Ricotta, Parmesan and Pecorino Romano. Read on to learn how to make this at home. 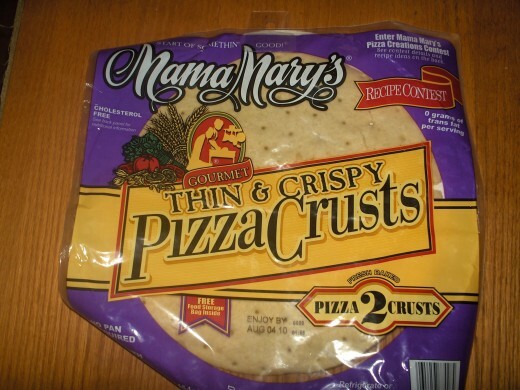 I found these prepared pizza crusts at Walmart for under $2 a piece. Boboli also makes a nice crust that will work great for this type of pizza. Brush prepared crust with olive oil. Sprinkle spices over the crust to taste. Thaw spinach and remove liquid. Spread it over the crust. Place pizza on a pan. Bake for 15 minutes till the cheese browns and is bubbly. Oh Yessss! This is the white pizza I was looking for! There are two think crusts in the package, so I made on like your directions, and the second one I added some artichokes. I tossed in a wrap just to see how it went, a little crispy, but fun to eat. I only had fresh baby spinach handy so I wilted it a bi, and it was just as good! THANK YOU! !